My mum’s birthday is on Valentine’s Day, so I’m usually having dinner with my parents instead of a romantic dinner date for two. It’s totally fine. Typically we’ll eat out at Tresors de la Mer, but this year we shopped at Addiction Aquatic Development for fresh seafood to eat at home. On the menu: a cold seafood platter followed by hotpot for four. 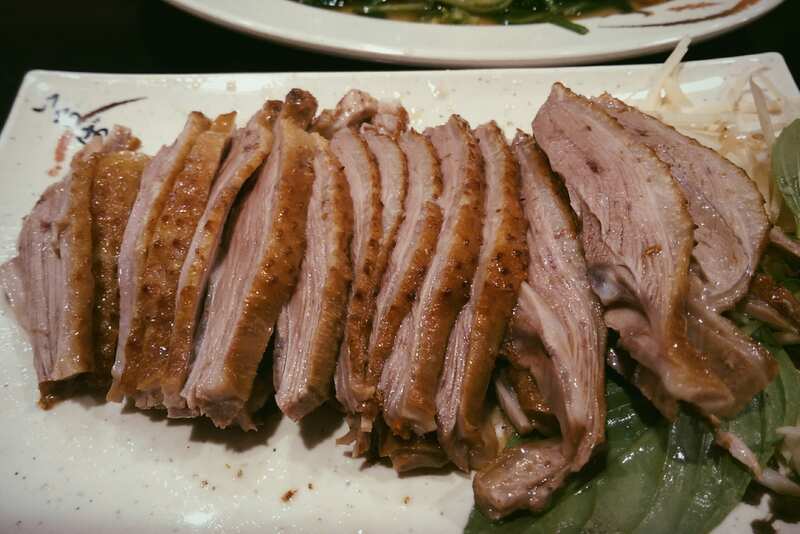 Addiction Aquatic Development is a must-do in Taipei if you love seafood. Just brace yourself for the crowds. Every day it’s like Costco on a Saturday afternoon, but you can be in and out in an hour if you stay focused. First, a note about the prices. You might expect everything to be crazy expensive, but stuff is surprisingly reasonable — even good value! — in the grocery section. Just bring lots of cash. They don’t take credit cards. 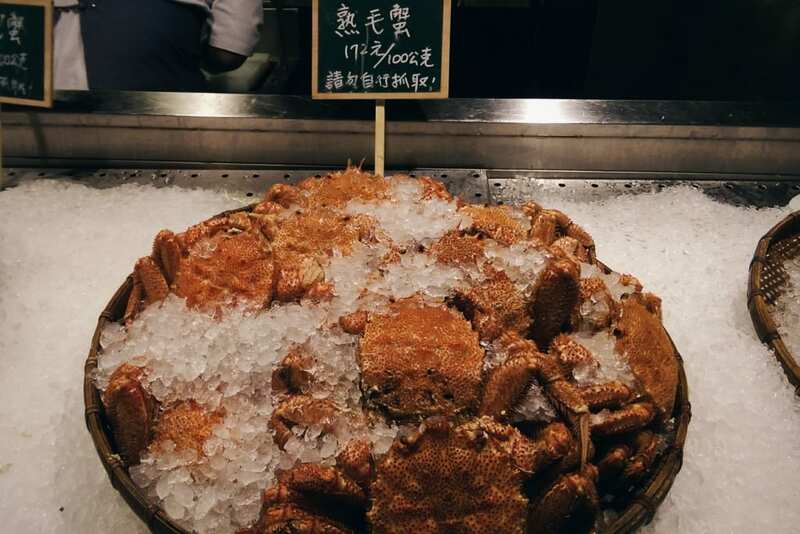 The fish market section has live tanks of crabs, abalone, lobster and scallops. There’s no fishy smell whatsoever anywhere, which is testament to how impeccably clean and well-run the entire place is. Swoon. 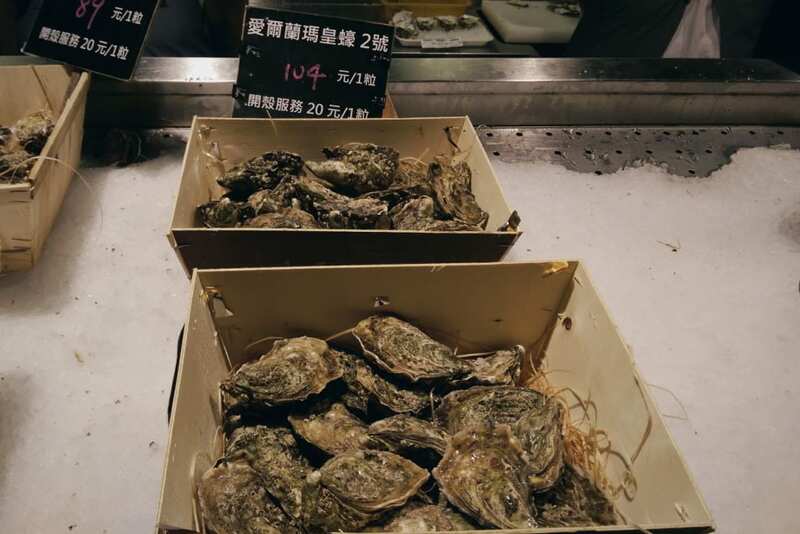 You can buy fresh oysters in the shell which the staff will shuck to order for 20NT each. 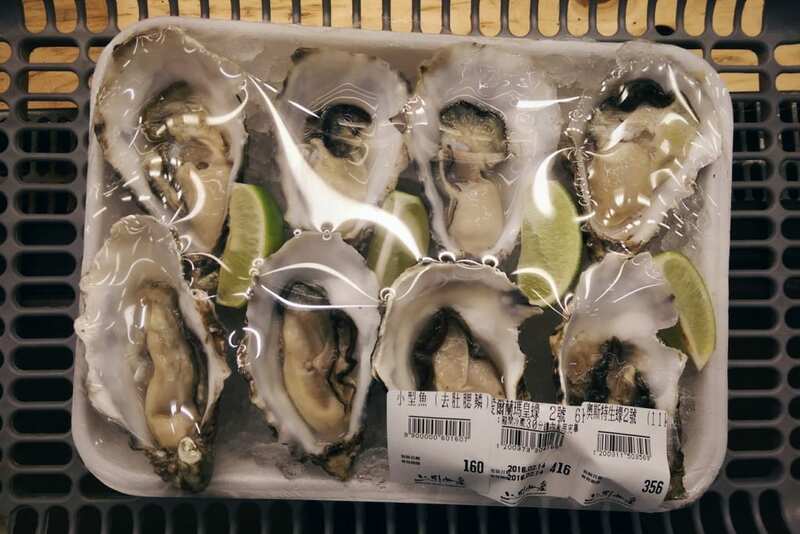 When we were there, they had imported oysters from France and Ireland. We bought four of each for the cold platter. Another nice touch: the limes are freshly sliced. The beverage choices can be a little overwhelming. 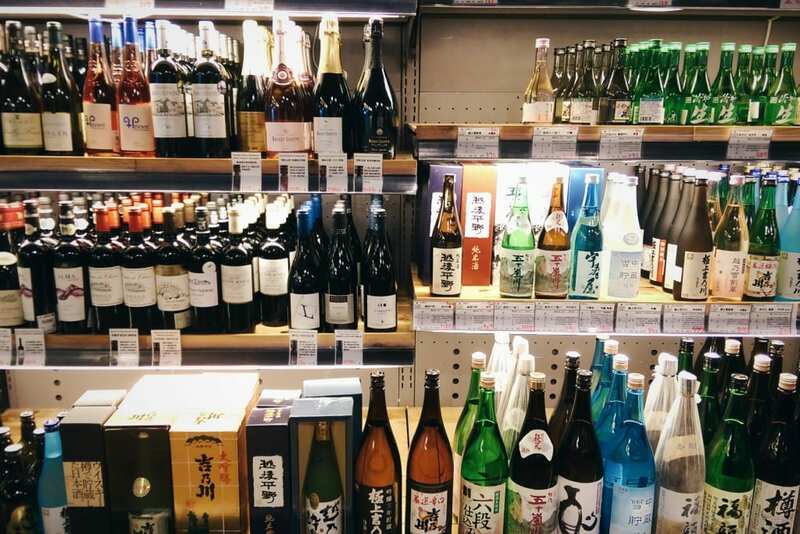 There’s a lot of sake and wine, and also non-alcoholic selections in the grocery section. 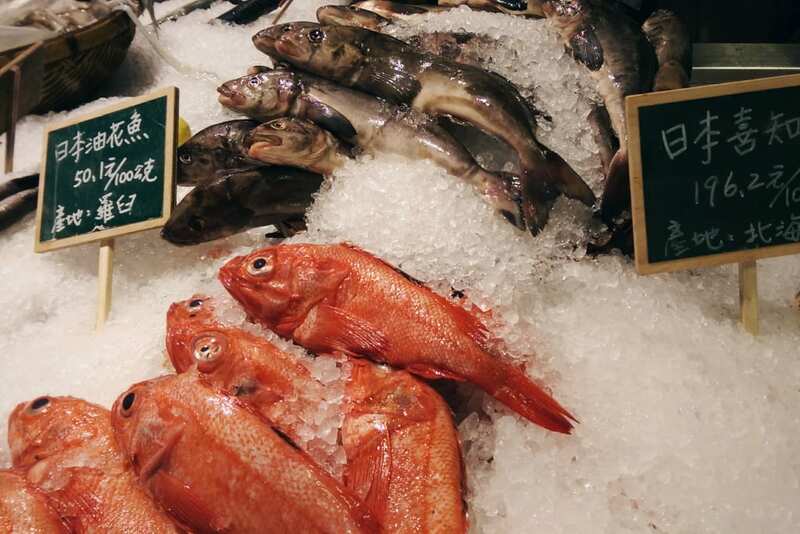 When you’re finished in the fish tank section, head up to the grocery aisles for prepared foods. 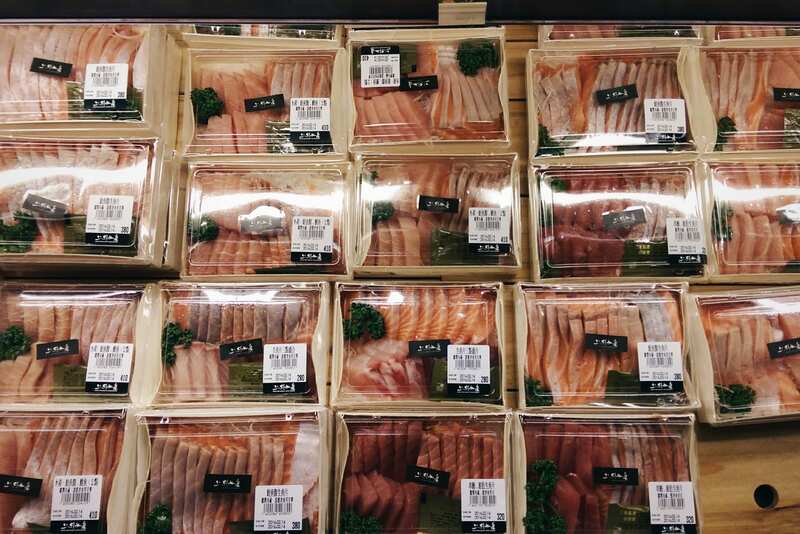 There’s both a hot and cold section but we generally stick to the cold side for the insanely fresh sashimi. We also picked up fish head and wagyu beef for the hotpot. And a tray of black sesame tofu for a twist on regular tofu. 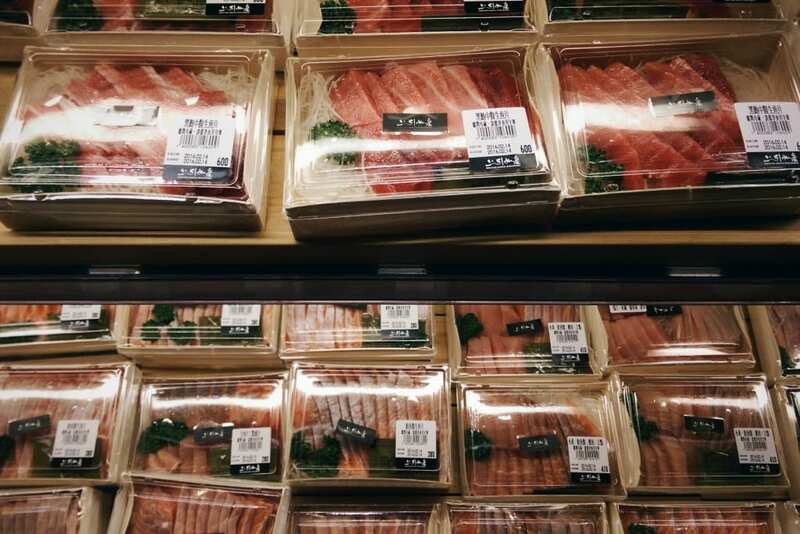 My mum chose one box of toro tuna for 600NT and one box of salmon sashimi for 300NT. They’ll give you fresh wasabi packets and soy sauce at the checkout. There wasn’t any uni or sweet shrimp available (cry), otherwise they would have hit the shopping basket too. 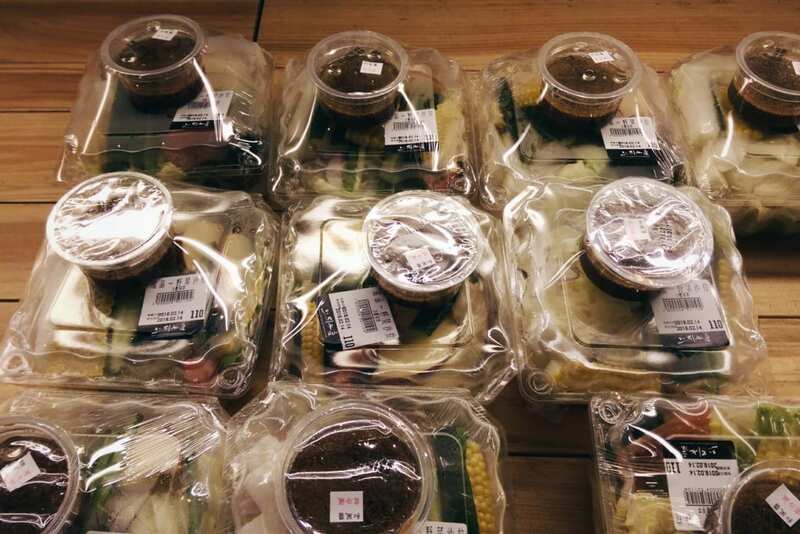 If all this seafood is way too luxurious, pick up a couple of these single serve side salads for 110NT each. 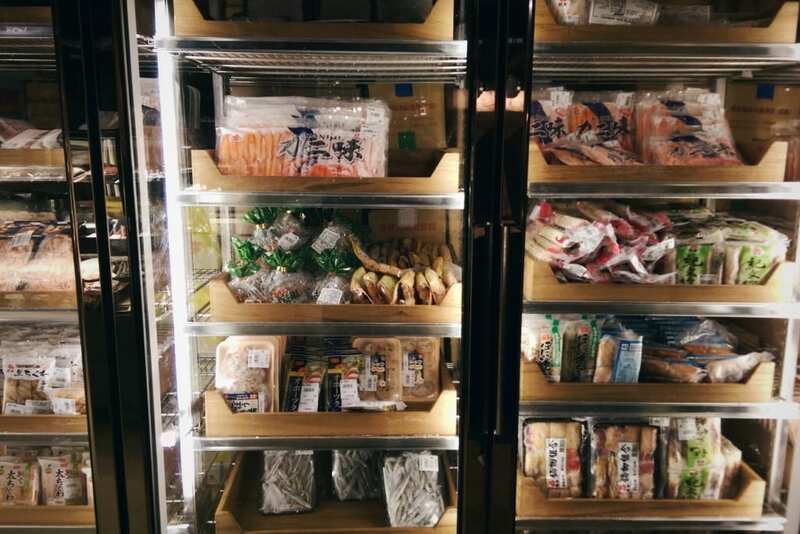 Then walk along the freezer section for quality hotpot ingredients like fish and crab balls. 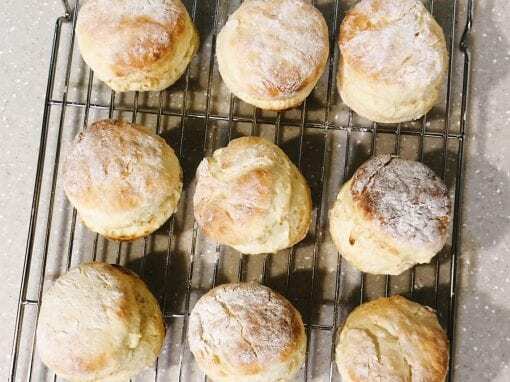 After trying these, it’s unlikely you’ll buy anything from your local Wellcome supermarket again. 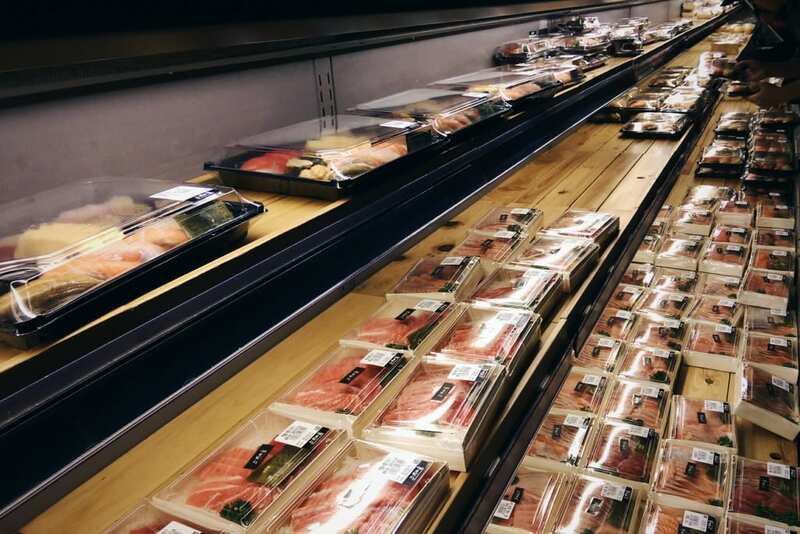 This part is critical: You’ll pass by diners at the stand-up seafood bar and sushi bar. Don’t look directly at their food. It’s dangerous, like staring directly into the sun. You’ll get completely derailed and end up eating there instead. Just remember, you’ll be home stuffing your own face in no time. Better yet, you’ll be sitting down and wearing loose pants. It’s one of my favourite places in Taipei! Love your photos, especially the one at the top of this page. 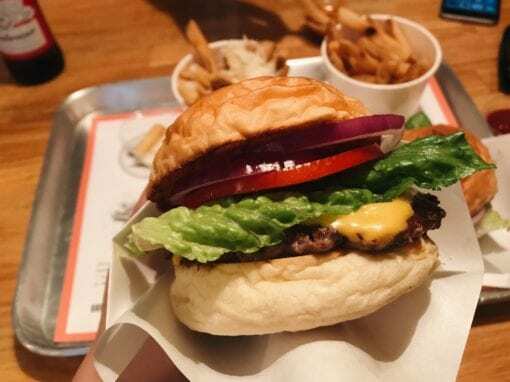 It’s so on point and drool-worthy.